Watson Batty Architects have been appointed as Principal Designer to a new £1 million attraction centre themed around JCB’s famous big yellow diggers. 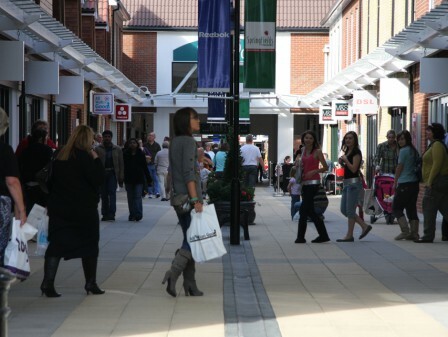 Working with Asset Managers SLR Outlets this new facility will be built at Springfields Shopping Outlet in Spalding, which currently attracts over 2.4 million visitors a year. 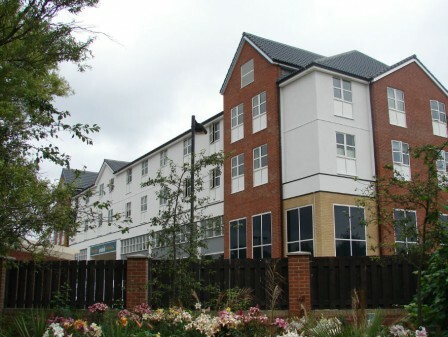 The plans, approved by South Holland District Council, will create 40 new jobs with works due to commence on site in February 2018 for 5 months. Aimed at children aged 2+ and up, visitors can enjoy a huge JCB young driver zones and a large track for pedal-powered diggers. 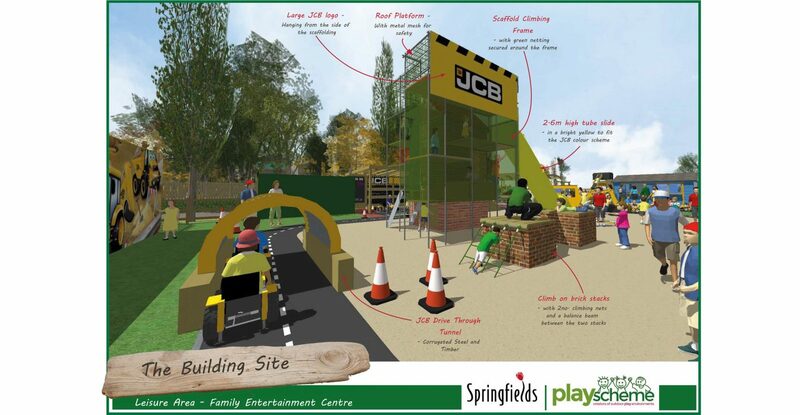 Also on offer will be a huge JCB slide, a scaffold-themed climbing frame and other unique interactive play equipment. The JCB zone will be housed in a ‘miniature village and construction site’, which will also have an educational edge. 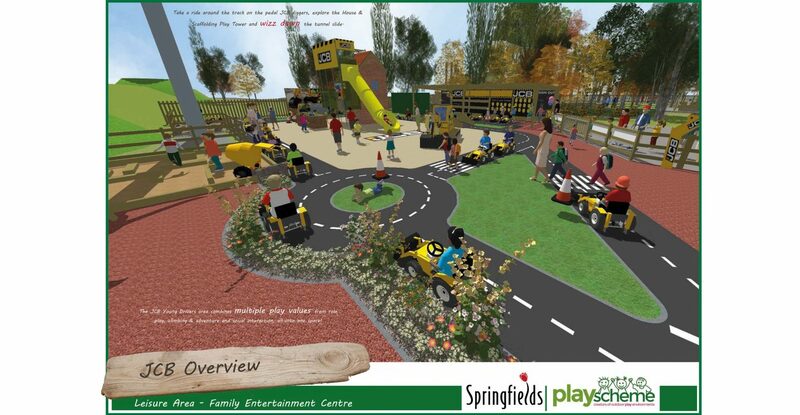 Plans also include the introduction of other children’s play facilities including a play barn and hire space for children’s parties, refurbishment to the dinosaur miniature golf course and the opening of an American-themed diner. 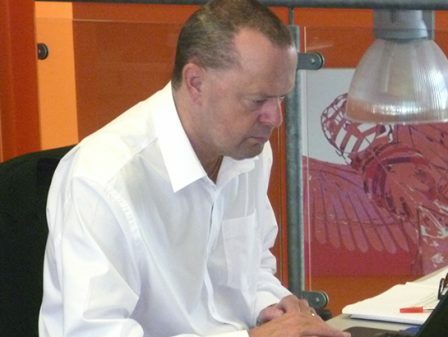 Watson Batty are committed to health, safety and wellbeing in our roles as Architects, Principal Designer and Designers and will work with the project team to enable the safe delivery of the project. What makes this project unique is giving children of all ages an insight into the construction industry. A health and safety briefing classroom for budding operators will compliment a track and building site for the children to have fun while being educated. Watson Batty Architects have been appointed to over 80 Principal Designer projects since the new CDM 2015 Regulations came into force in October 2015. We will use our skill, knowledge and experience as Principal Designer to handover a fun, exciting and safe attraction.